There’s a saying I once heard: If you want to live a long life, you have to look forward to a lot of old age. And Australians are certainly getting older. In the early 1970s, people aged 65 or older made up just eight per cent of our population; by 2001, they represented 13 per cent and in the coming decades are estimated to reach around a quarter of the total population. It’s inevitable then that more people will need to help ageing family members with financial decision-making and money management. For individuals, the level of involvement needed will depend a lot on their parents’ financial position and their ability to manage their own affairs. The question is: What’s the best way to tackle discussions with ageing parents about their finances? Talking with family members about money is delicate at the best of times, and it can be especially challenging with parents. For a start, none of us likes to acknowledge that the people we love are getting older and won’t be around forever. When it comes time to approach the subject we want to make sure that our parents know that we care about them; not that we’re being nosy or meddling. Find out where your parents keep important documents—wills, passports, insurance docs, birth and marriage certificates, bank statements, tax returns, Medicare card, pension card etc. A lot of older people are used to paying bills in person or by cheque. As that gets more difficult, you might offer to set up automatic electronic payments and direct debits for them. Try to get a full picture of your parents’ financial position. To do this, you’ll need to understand all of their assets, cash savings, investments and debts. Again, explain that you’re not being nosy—just making sure that nothing gets missed. Some ageing parents may need help with budgeting. When you help them put together a household budget, make sure you understand all their sources of income and don’t overlook expenses that occur quarterly and annually. 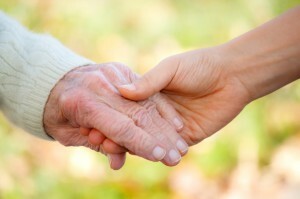 As your parents get older, they may choose to nominate powers of attorney. Their nominee(s) should be a person or people who are trustworthy, astute and who clearly have their best interests at heart. A general power of attorney is where you appoint someone to make financial and legal decisions for you, usually for a specified period of time - for example if you're overseas and unable to manage your legal affairs at home.